What does it mean to be a competent professional with an eye to serving family and society? How can I be both a leader and a wise contributor? Why are ethics and virtue critical for authentic leadership? The high schools years are important time for building character, developing good friendships and becoming a positive catalyst for change. YumaPrep offers professional and cultural seminars, discussion forums and individual mentoring to girls who want to make a positive impact on the world. Academy of the Holy Cross, Bethesda-Chevy Chase, Bishop O’Connell, Colonial Forge, Hammond, Leonardtown, Lycee Rochambeau, Mount De Sales Academy, North County High, Oakcrest, St. John Paul the Great, St. Mary’s Annapolis, St. Mary’s Ryken, Stone Ridge School of the Sacred Heart, The Catholic High School of Baltimore, The Lab School of Washington, Trinity at Meadowview and Walther Johnson. 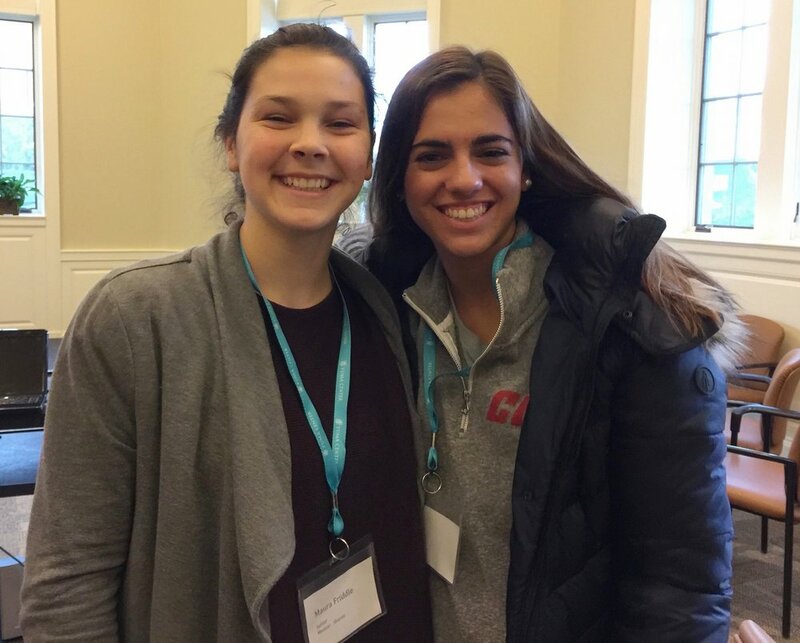 Freshmen attend seminars that help them discover their talents, navigate their high school years and make the most out of their new experience. Please indicate your time preference. Check all that apply. Sophomores and Juniors learn from professional women how to develop the leadership skills and virtues needed to succeed at work and in life. Participants explore how their talents relate to different careers. Experienced women professionals will discuss the virtues needed, challenges and steps to succeed in each field. Professionals also lead interactive sessions that engage the students and give them a working knowledge of different careers. 1:30-2:00 before the program begins. 4:30-5:00 right after the program ends. I would be available to meet my mentor in my neighborhood. I would like more information about the mentoring program. I will send a full payment check of $325 made payable to "Yuma Center"
Thank you for your interest in YumaPrep! We will be in touch with you soon. Seniors discuss the big issues they will face in college and the importance of making good choices that shape their futures. Program participants also have the opportunity to attend a college-prep conference in Rome during Easter Week. I will send a check for $325 payable to "Yuma Center"
Thank you for your application to YumaPrep! We will respond to your application. If you have any questions, please email yuma.prep@gmail.com. “YumaPrep has helped me tremendously to grow in virtue and to become a better student, friend, daughter, and sister.